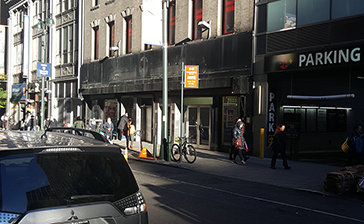 Looking for a parking garage near Ace Hotel New York? Parking.com offers several parking locations nearby. Discounts, daily and monthly rates are available at selected locations. Click on the map below to view available parking locations. Located in the center of Manhattan and 10 minutes away from Madison Square Garden you can find this Modern-Contemporary hotel. This Hotel features Free Wifi, 24-Hour Front Desk, Wake-up service, Flat-screen TV and more.. Some nearby attractions include Madison Square Garden, Empire State Building & Manhattan Mall.